The Toyota Highlander is a midsize crossover SUV based on the Toyota Camry platform, but with the versatility of an SUV. The Highlander became the first car-based midsize SUV, and is the counterpart to the more rugged, truck-based midsize 4Runner. The Toyota Highlander was announced at the New York International Auto Show in April 2000, and arrived in January 2001 to North America. Unlike its competitors such as the Jeep Grand Cherokee or the Chevrolet Trailblazer, the Highlander aimed for on-road comfort and was built with unit body construction and independent rear suspension. The most recent generation of the Highlander is the third generation, and was revealed in March 2013 at the New York International Auto Show. The 2014 Highlander was available to dealerships in January 2014. The newest generation is both wider and longer than its predecessor, allowing for seating of eight people. It’s also featuring a new, curvy body style in an effort to compete with the Ford Explorer and Nissan Pathfinder. 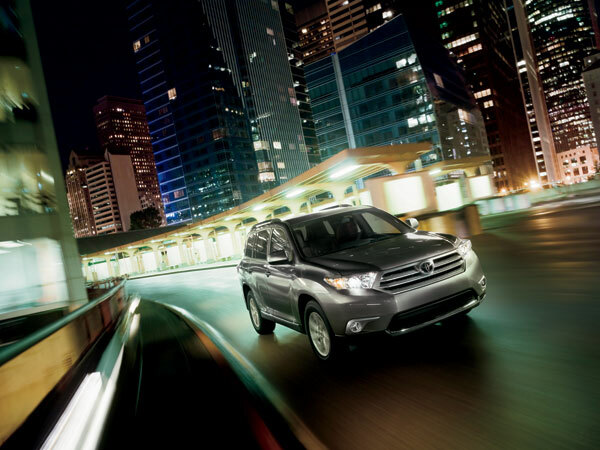 The 2014 Highlander also features impressive technology upgrades including Toyota’s Entune multimedia system. The Highlander is sold all over the world, to include Australia and Japan, where Toyota is unable to use the Highlander name because of a trademarked Hyundai Terracan trim line. Instead they call it the Toyota Kluger.